In the world of Islam, day-to-day life is governed by Sharia law, which mandates specific behaviors in many areas of Muslims’ lives, including finance and money. But a monumental adjustment to the code of Sharia law appears to be coming, and it could change the way we look at the gold market forever. Under Sharia law today, gold is treated as something called a Ribawi item, which is a commodity that must be exchanged in equal amounts during an immediate transfer of possession. As a result, the Muslim world has never used gold as a savings or investment vehicle. That means countless Muslim individuals, banks, corporations, and commercial traders have never participated in the gold market. These millions of people have been allowed to own gold only as jewelry or currency, but never as a means for protecting and preserving their savings. However, members of the Muslim world are anxious to take advantage of the many benefits of buying gold in order to protect their wealth. In response, the Accounting and Auditing Organization for Islamic Financial Institutions (AAOIF) is working with the World Gold Council (WGC) to propose an exciting revision to Sharia law as it relates to owning gold. The proposal by the AAOIF and WGC would change the way Sharia looks at gold, allowing a massive new pool of Muslim buyers to enter the market. About 20% of the world’s population adheres to the religion of Islam and lives, in some capacity, under the rules of Sharia law. That translates to about 1.6 billion people. If just 2 percent of current Islamic finance assets are allocated to gold, a huge new source of demand – roughly equal to China’s total purchases in 2015 – will soon enter the market. And this could push gold prices higher… a lot higher. 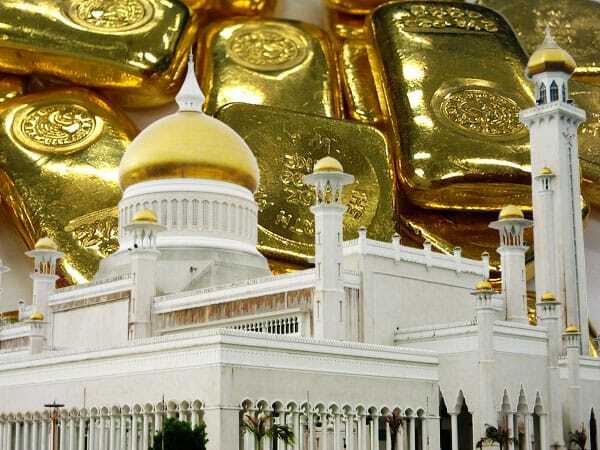 Given its long history as a currency and storehouse of wealth among Muslims, expectations are high that the Islamic finance industry, and Muslim investors, will quickly embrace gold investments. This would include gold savings plans, gold certificates, physically-backed gold ETFs, certain gold futures and gold mining equities. The new Sharia gold standard is well on its way to becoming reality. Implementation could come as soon as early next year. And when it arrives, it will bring one of the biggest changes to the gold market in history. But before that happens, informed gold watchers have a rare opportunity. Knowing that gold prices could explode when these millions of new buyers enter the market, it may be wise to buy soon. Wait too long and you could miss out on this historic financial shift.